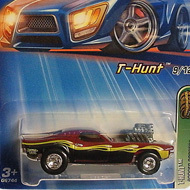 8/12 from the 2005 Treasure Hunt series. 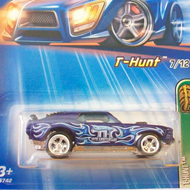 The GTO sports dark blue metalflake paint, a black roof, and the sides have silver stripes, “GTO”, and the TH logo. 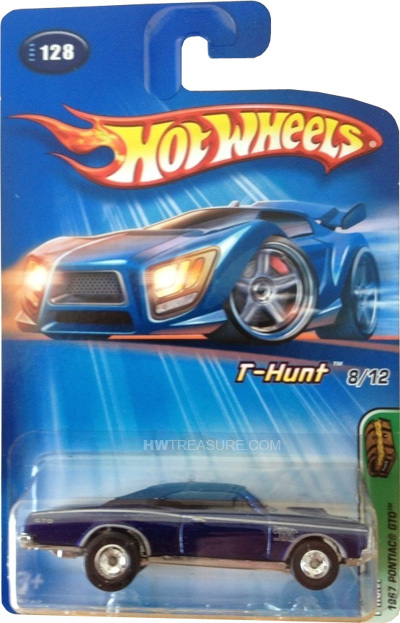 It has tinted windows, a black interior, Deep Dish Real Rider wheels, and a chrome plastic Malaysia base.